Franz Douskey, the author of the book, convinced Tony Consiglio to reveal all the great stories hidden for so many years. Over the years, Tony refused any interviews, remaining faithful to his lifelong friend. But he felt that Frank’s name was related to too many mistaken details and third party rumors and he decided that it was time the tell the true story of Frank Sinatra – “The Voice”. Tony had many nicknames: The Dago, The Clam, America’s Guest. The third funny name reveals the fact that he never had to pay wherever we would have gone, as everything was taken care of his friends. For Frank, he was The Clam, because he always knew how to keep his mouth shut, being the silent loyal companion. Tony narrates so vividly his memories, as if everything is happening right before our eyes. Tony’s words are simple but strong, funny but melancholic and, most of all, deeply affectionate. 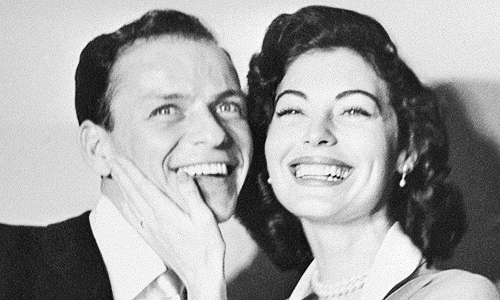 Frank had four wives, four legitimate love stories: the devoted Nancy, the tumultuous Ava, the 30 years younger Mia Farrow and Barbara, who stood beside him until the end. But Tony recalls other romances, with Juliet Prowse, Lady Adele Astor and even with Lauren Bacall, the widow of his respected friend, Humphrey Bogart. Page by page, we discover Frank’s connections to musicians, movie stars, politicians and sportsmen. Tony reveals the true nature of their relationship with Sinatra and, furthermore, the real stories of all these personalities, behind the glamour of their success. Frank was also a good friend both of the Kennedy family and of Joe DiMaggio and Marilyn Monroe. Marilyn “was afraid of him, just like a lot of people were. That was his wall”. During her last months, Frank tried to help her, just like he did with Judy Garland, but it was in vain. Tony compares the passion between Frank and Ava with the one between Joe and Marilyn. Although their marriage didn’t last a year, Joe loved her till the end. Joe had flowers sent everyday to her gravesite. Tony further recalls the encounters with Elvis, Rocky Marciano or other famous personalities. All these and many other touching, funny or spicy details are to be found in this remarkable book. 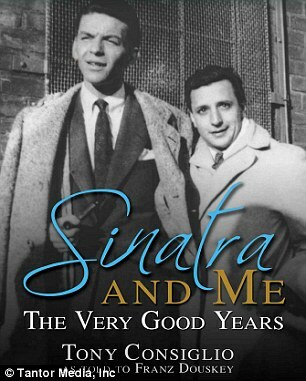 “Sinatra and me: The Very Good Years” is a biography narrated with emotion and with the joy of having lived a beautiful life.